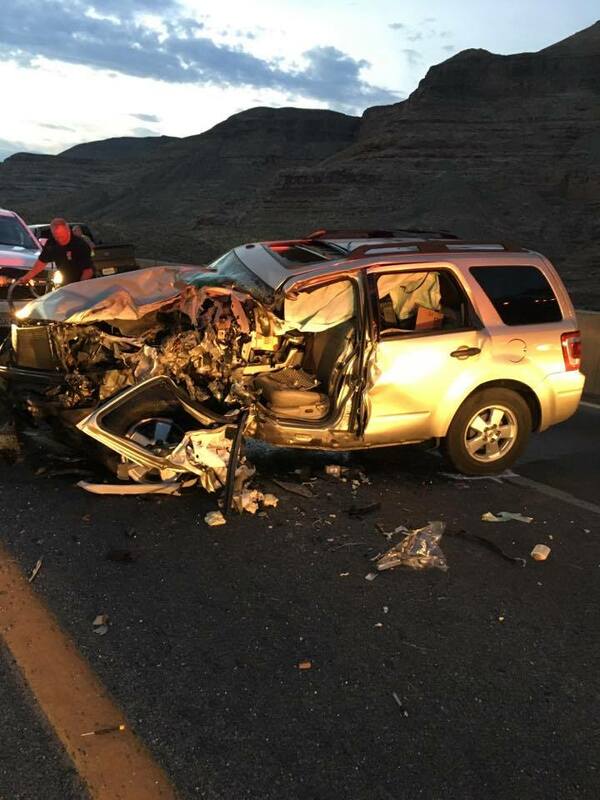 ST. GEORGE — A 32-year-old man was killed in a head-on collision Monday morning after traveling the wrong way into oncoming traffic on Interstate 15, approximately 6 miles south of the Utah state line. 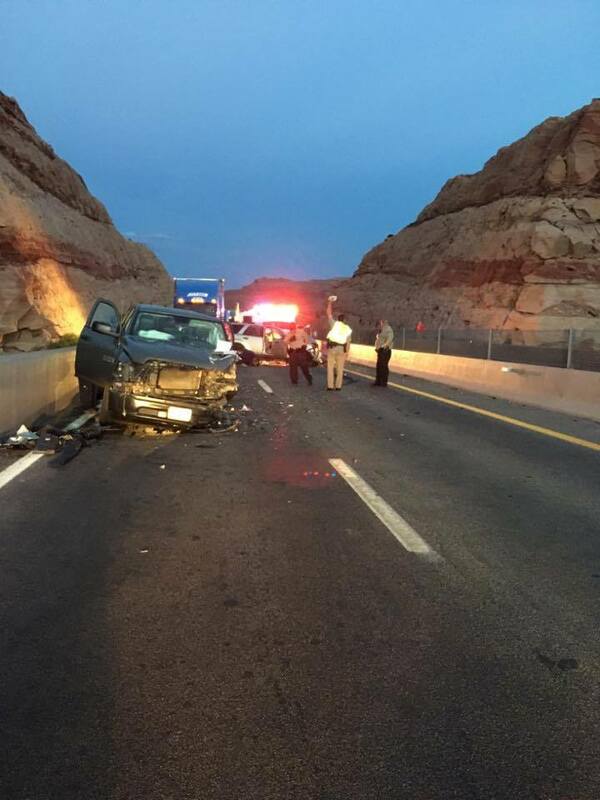 The driver of a second vehicle involved in the crash was transported to the hospital via Intermountain Life Flight. 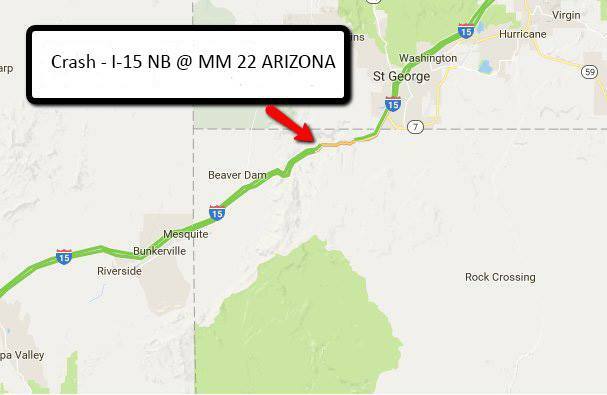 At approximately 4:30 a.m. Monday, authorities received a report of a vehicle traveling south in the northbound traffic lanes on I-15 near milepost 24, Arizona Department of Public Safety Sgt. 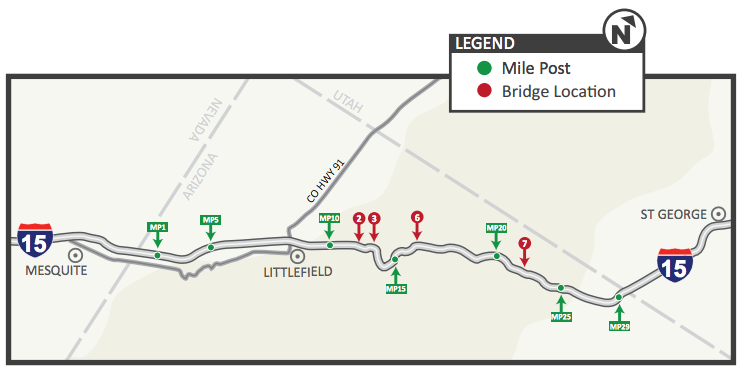 John Bottoms said. 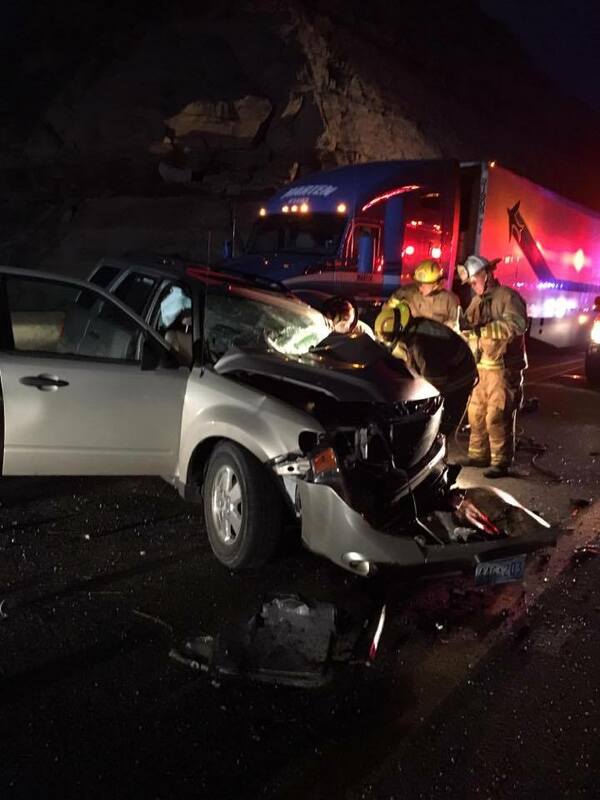 Minutes after receiving the first call, authorities were notified of a collision at milepost 22.5 involving a Ford Escape and a Dodge Ram truck. 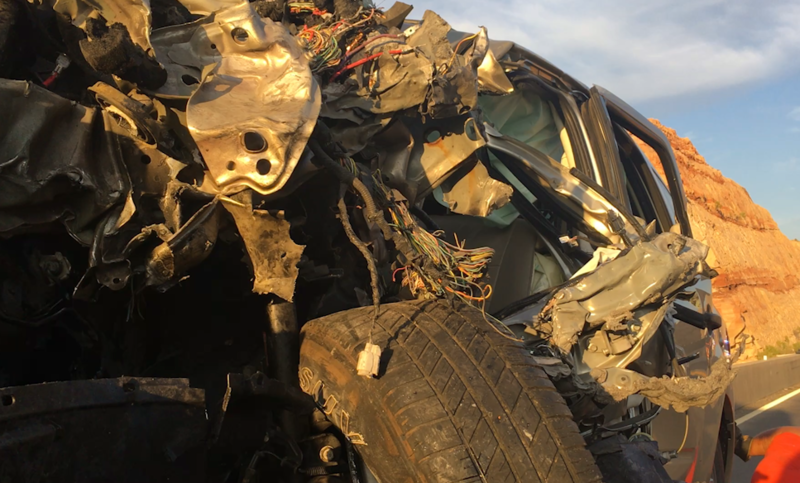 The three occupants of the Dodge truck were traveling from California back to their home in Missouri, officials said at the scene. 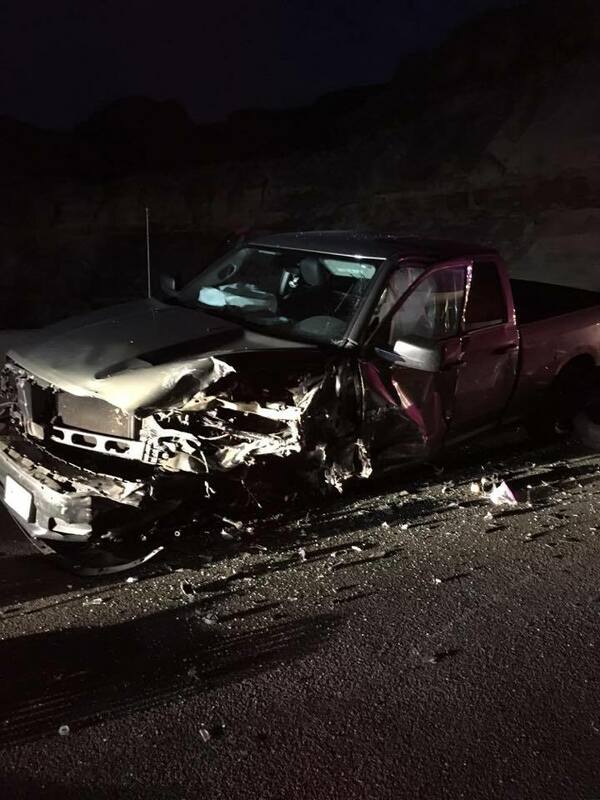 The driver of the Dodge truck, a 56-year-old woman, complained of pain in her neck and chest and was transported by Life Flight to Dixie Regional Medical Center in St. George to be treated for injuries, Bottoms said. 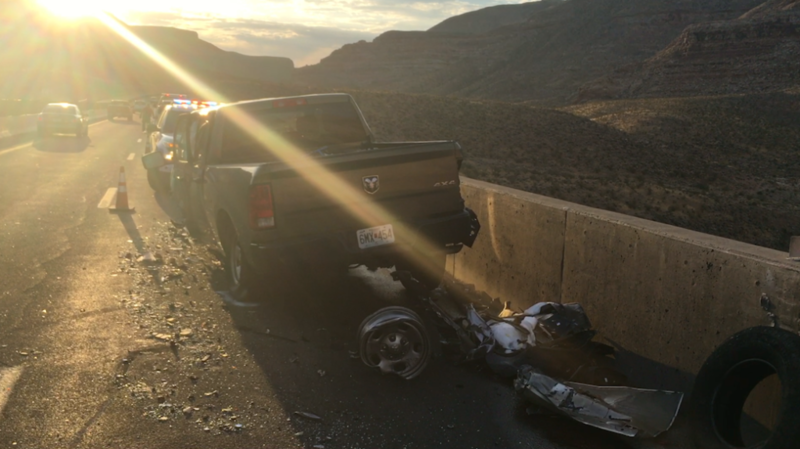 The other two passengers in the Dodge truck were treated and released at the scene. 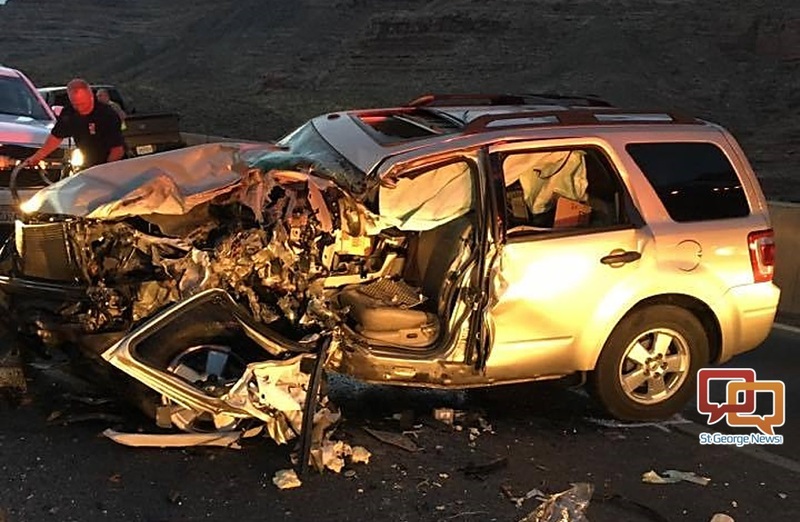 The wrong-way driver of the Ford Escape with Nevada license plates sustained fatal injuries and was pronounced dead at the scene, Bottoms said, noting that the 32-year-old man had not been wearing a seat belt. 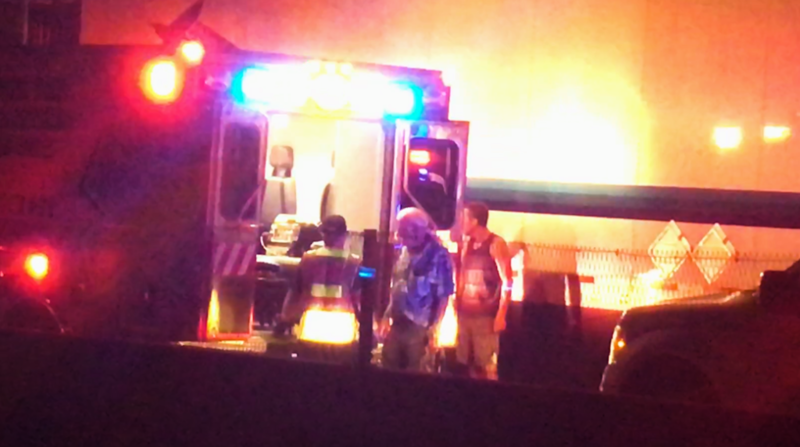 The man’s identity has not been released pending notification of family members. 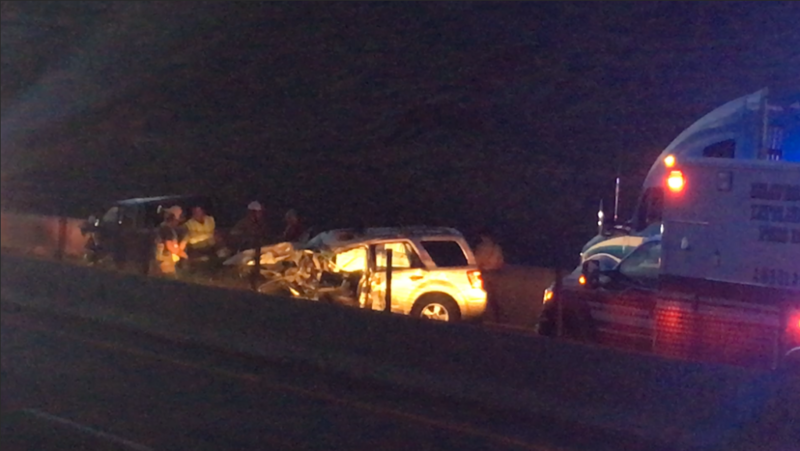 Bottoms said it is unclear where the Ford Escape may have entered the freeway or turned around and began traveling in the wrong direction, nor what the driver’s motives were for doing so. 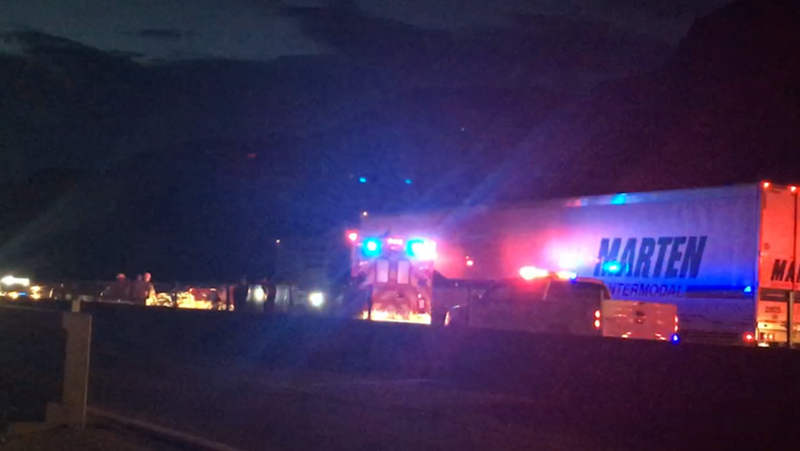 Northbound traffic was backed up along I-15 for approximately an hour and a half while emergency responders worked to clear the scene of the crash. 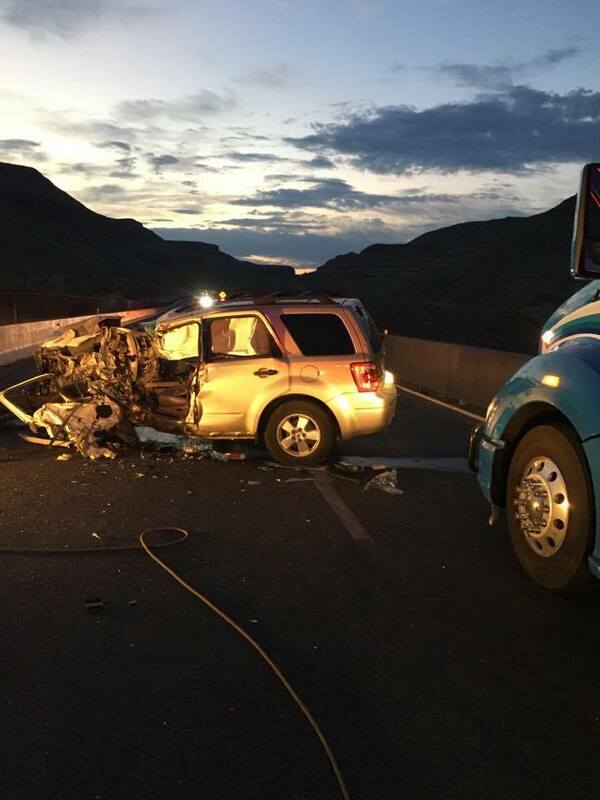 It seems this was a suicide, “They began braking and tried to slow down, and the (oncoming) vehicle veered right into the lane they were in and collided with them head-on”. What a heartless way to do it.